Automate.io lets you connect ActiveCampaign with 50+ other popular apps. Build your custom integration with their simple drag-drop interface in minutes. 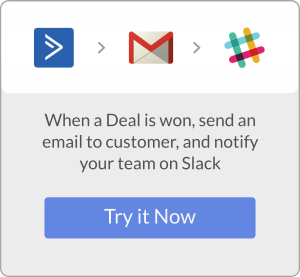 Create simple one-to-one integrations between ActiveCampaign and any other popular app you use. Or, build more advanced workflows involving multiple apps. 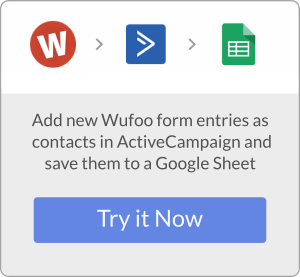 Some of their popular ActiveCampaign integrations let you connect with web forms, CRMs and other apps. Creating your custom integration Bots in Automate.io is really simple. No coding required and no change in your existing apps. Build them in minutes and automate your marketing and sales process with Automate.io.